Analysis: Academic room ballots – are they effective incentives? The four colleges which topped the 2018 Tompkins table all use an academically prioritised ballot system to determine students’ rooms for subsequent years. Only eight out of the 31 colleges at the University use this system, of which Christ’s, Pembroke, Trinity and Peterhouse occupy the top four spaces in the table respectively. The other four colleges with academic room ballots – St John’s (8th), Gonville & Caius (14th), Corpus Christi (15th) and Fitzwilliam (19th) – place within the top 20. This is broadly reflected in all results from recent years, with 5 of these Colleges in the top 10 average rankings over the past 5 years, and 4 in the top 10 for the past 10 years. Trinity College tops both lists, with an average ranking of 1.4 from 2014 to 2018 and 1.3 from 2009 to 2018. Pembroke, Christ’s and Peterhouse also feature in both top 10′s, with St John’s placing joint 8th for the last 5 years but narrowly missing out on a top 10 spot over the longer period. However, although two of the remaining colleges, Caius and Christ’s, hold a 13.9 and 13.1 average ranking respectably over the last 10 years, Fitzwilliam is the exception with an average ranking of 20.5. By contrast, some Colleges which do not use an academic ballot system consistently place highly. Emmanuel College, although only 9th in the 2018 table, had the second-best average of 3.9 over the last 5 years, with Churchill not far behind Pembroke in 4th with an average of 6.2. 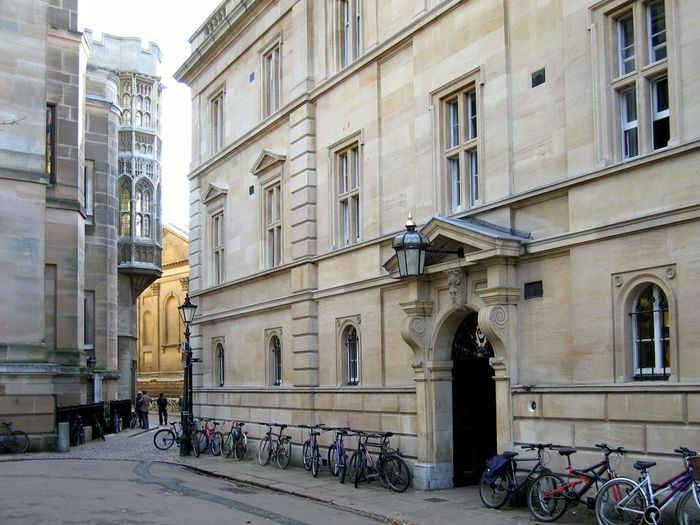 Following the decision of St Catharine’s College in February 2017 to abolish their ‘scholar’s ballot’, these eight colleges are becoming increasingly isolated in the way in which they prioritise those who receive a First in their end of year examinations. While the system varies from college to college, the fundamental principle remains the same: those who do best in exams are given priority in choosing their accommodation for next year. This contrasts with the randomly generated order favoured by most other colleges which use a ballot. Similarly, Corpus Christi reserves 20 of its best rooms for Scholars and Intermediate Exhibitioners (students who achieved a high 2:1). Fitzwilliam College recently introduced a group balloting system to minimise the anxiety involved in choosing rooms and crystallising friendship groups. Dr Paul Chirico, Senior Tutor at Fitzwilliam College said: “Scholars are offered priority in the ballot if they chose to enter individually rather than in a group. Many regard this as a substantial reward for their academic achievement, an additional incentive”. However, Peterhouse takes a different approach, taking both extra-curricular as well as academic achievements into consideration when allocating rooms. An algorithmically-operated points based system rewards students not only for their examination grades, but for activities including sporting achievements, holding committee positions in societies and contributing to Cambridge theatre or journalism. Dr Robert Edward Hunt, Senior Tutor of Christ’s, told Varsity that the room ballot system is not so different from many other aspects of the College system that favour those with the best exam results, such as prizes awarded in Easter Term. He explained how “The purpose of the system is not to encourage students to work harder”. He conceded that although some students might be encouraged to work harder in order to receive priority in the ballot, “many students will not be influenced.” He argued that the prioritised ballot system, despite rewarding students for academic achievement, is an old system not designed to create better exam results. This idea of the ballot system as not intrinsically creating better results is supported by the consistent achievements of those Colleges which do not use such a system such as Churchill and Emmanuel. Among the prizes to which Dr Hunt refers, many of the most generous awards are also granted by colleges which still retain the academically prioritised balloting, and can vary drastically vary from college to college. St John’s award each student to receive a First in any undergraduate year between £400 and £600. At Trinity, students are given a prize of £350, while at Pembroke, the prize is currently worth £250 for first year students and £300 for subsequent years. While some colleges reward students differently, such as with money off their next college bill or with book tokens, other colleges offer no such rewards at all. Academic ballots: also a financial division? In being granted prioritised access to a choice of rooms, Scholars’ rent can be considerably more expensive than that of other students – thus, many are only able to capitalise on scholars' rooms if they are in a financial position to afford more expensive accommodation. This means that some students, despite having achieved high academic results, cannot take advantage of College rewards due to their financial situation. Both Christ’s and Peterhouse highlighted that, similarly to all Cambridge Colleges, there is a range of hardship grants to which students in financial difficulty can apply. However, there is currently no provision at colleges specifically for higher rent charges incurred as a result of having prioritised accommodation choice. Corpus Christi is the exception to this; offering a rebate of £100 a term to Scholars to help with rent. Nonetheless, according to a Varsity investigation into the variation of rent costs carried out last year, only three of the Colleges which use this ballot system, Fitzwilliam, Corpus Christi and Caius, charge above average rent, indicating that although Scholar Rooms are often more expensive, their accommodation is in general more affordable than Colleges which do not use such a system, most noticeably than Newnham and Robinson. Peterhouse told Varsity that while the NUS recommends that 25% of housing stock should cost less than half of the maximum maintenance loan in order to be affordable, 82% of their accommodation falls into this category. “The room ballot preferences have not been raised in recent years. In relation to the cost of accommodation, the college makes bursaries and grants available for students in the case of hardship.” But he also added that the college “takes account of individual requirements based on personal circumstances”.